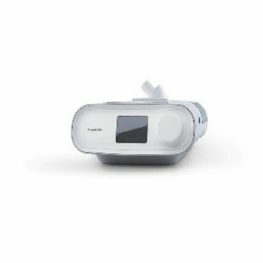 The world’s smallest CPAP device is here from ResMed and now with the NEW UltraSoft MEMORY FOAM Full face cushion designed to reduce facial markings, tolerate movement and provide ultimate comfort plus NEW QuietAir diffuser vent minimises noise while gently dispersing exhaled air. 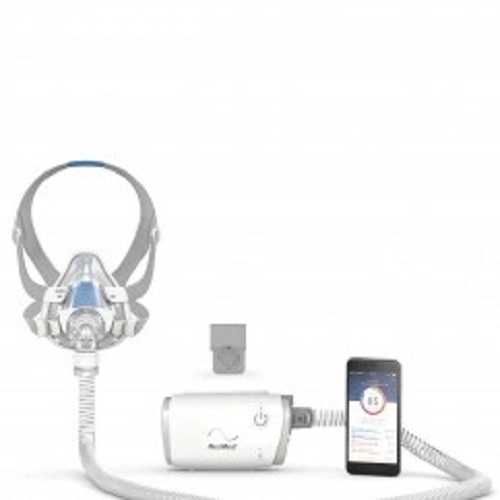 This ultra portable device comes with a contemporary design and delivers convenient therapy controlled directly from your smartphone with the AirMini App. 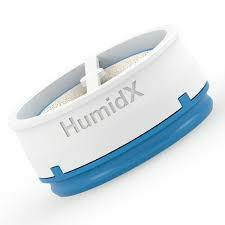 Each AirMini AirTouch kit comes with a new ResMed memory foam full face mask. 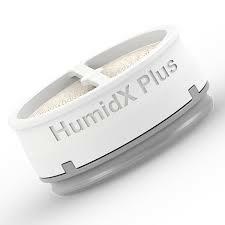 Machine is only compatible with Resmed AirTouch full face F20 masks. Available in our accessories section is the AirMini Travel Bag- easily fits all your AirMini accessories for an on the go lifestyle. 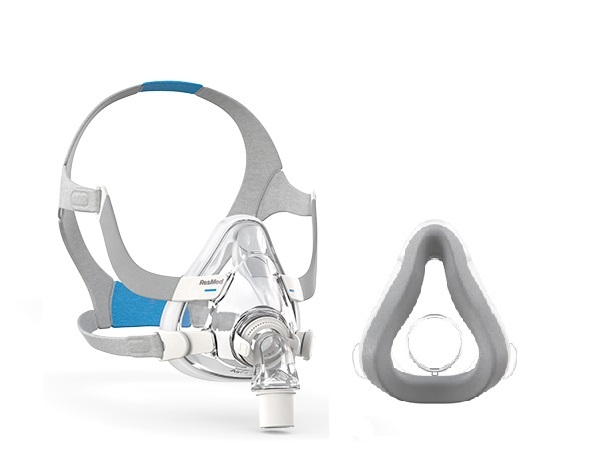 Available in 3 different size starter Kits: ResMed’s AirTouch Memory Foam F20 Small, Medium & Large masks. Masks are included in the kits. 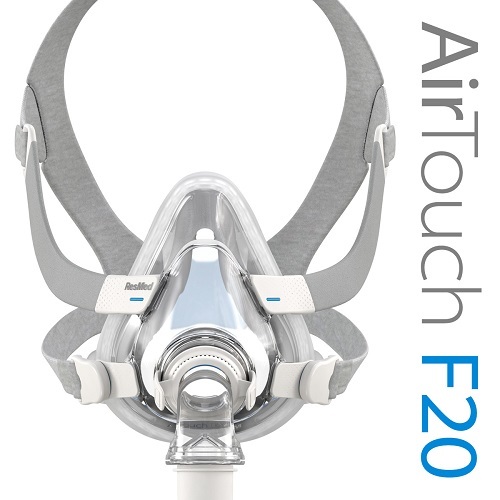 Be the first to review “RESMED AIRMINI with AirTouch MEMORY FOAM Full Face F20 mask” Click here to cancel reply.